There were a lot of unresolved questions going into Field Day. First and foremost, where do we put 5 trailers at the site? Placement was one thing the order of arrival was completely separate. We were, with some maneuvering and wiggling, able to get them all positioned where they should be. The layout proved quite functional. What’s that about Horse Fence? In testing we knew that the horse fence would work as suitable dipoles. Once we got the twisting out all was well in the world. We worked 40 and 80M on the horse hence and the 40HF was the preferred antenna for the event. All those shiny band pass filters, how did they work out? Well after banging CQ in psk for all of 30 seconds one caught fire. Without panic it was disconnected from the rig, and tossed into the field. The post mortem is still on going to what happened, but it was the C3 cap the gave up the factory smoke. Band Pass Filters, lasted all of 5 minutes before they caught fire. Most importantly, what about food? This has always been something that is dire important but not related directly to radio. The Mastersonville Fire Company fed us well, the fruit bowls were a nice touch, not having to think about breakfast lunch and dinner made the operating that much easier. There were things on Field Day that just kind of came together. We had sleeping quarters this year. years past it has been at best crashing in cars, but this was a real treat. Thank you to Skip and Scott for the use of your travel trailers. Jonathan brought a 15 and 20M beam. These turned out to be our best antenna, I know duh. The 20M beam tower system, mounted on an extension ladder, was a dream and is destined to be used elsewhere. He has plans to build a 10M for next year and make it sing. We scored 1233 contacts for 5808 points. This includes 1500 bonus points, we will get that satellite QSO one of these years. 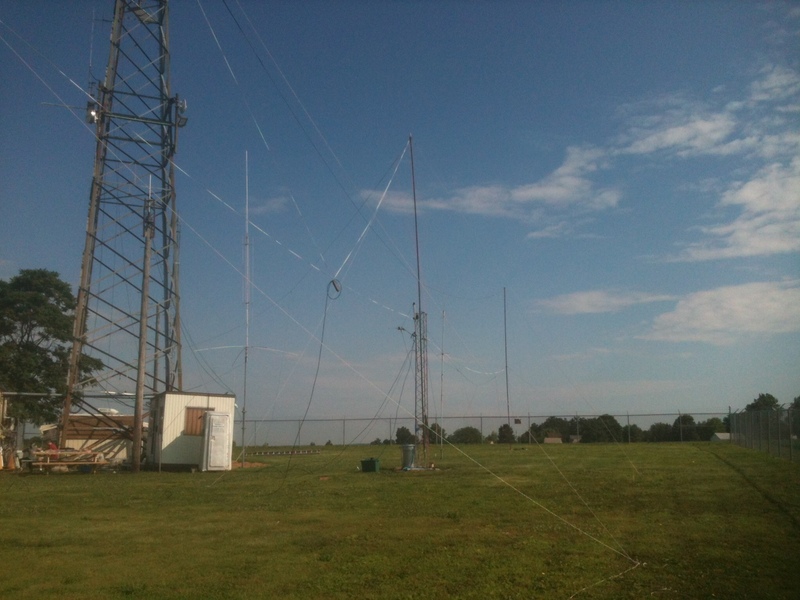 We racked up 719 CW QSO’s, 202 PSK QSO’s, and 312 Phone QSO’s. This coming from a total of 8 operators. Next year both QSO count and operator count should be looked for improvement. There is always a seat and even if you do not feel you can do it, we are a club of coaches and teachers, we will get you through. We had 3 junior operators this year all making at least one contact on PSK. If they can do it anyone can.